& explain your complex FinTech product or service in a comprehensible way to the masses. Let us market your solution to users, buyers, & investors. FinTech, cryptocurrencies, and blockchain technologies are clearly poised to disrupt nearly every industry and completely change the way we think about everything. However, the biggest problem facing high-tech disruptive technologies is explaining and marketing your ideas to people who aren't innovators like you. Meticulosity has years of experience in technical projects ranging from complex custom development to digital marketing for software companies and next-gen technologies. Our team can understand your differentiating factors at every layer of the marketing growth stack to enable you to stand out in an ever-crowding market and help you get to the gold-rush before the party is over. We will help define your marketing goals and formulate a successful strategy to reach KPIs, ICOs, and exit strategies. Meticulosity can design and develop an attractive website that will enable us to execute your marketing strategy. We can build compelling content around your different personas to drive users or investment opportunities. We'll make sure people are finding your site within the ever-growing FinTech market. Reach more qualified users through AdWords, social media ads, and other PPC & remarketing advertising. Tap the full marketing growth stack to accelerate your marketing efforts with a cohesive digital strategy. In order to market your product or service, your audience needs to understand it. Our background is in highly-technical verticals. We can communicate your differentiators to your applicable market, user base, investors, and more. Unlike traditional marketing agencies, Meticulosity's roots are in full digital marketing. 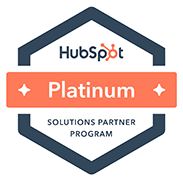 We are a Certified HubSpot Partner, the leader in Inbound Marketing and Automation. Our growth-driven design and results-oriented digital marketing strategies rank us at the top of our industry. We're not just tech savvy, we're FinTech savvy. Our digital agency specializes in Inbound marketing for blockchain and FinTech – or what we call "blocketing." From PPC management to search engine optimization; from content planning to dedicated social media advertising; our proven processes suit the innovative nature of FinTech and Blockchain technologies. With over 100 years combined experience, our global team is dedicated to providing qualified leads and increasing conversion for our clients.